will have work in the SWIZZ BEATZ / BACARDI / NO COMMISSION NY ART FAIR, opening tomorrow THURS AUG 11, 2016 at 5 PM – running thru SUN AUG 14, 2016 at 3PM / in the South Bronx. 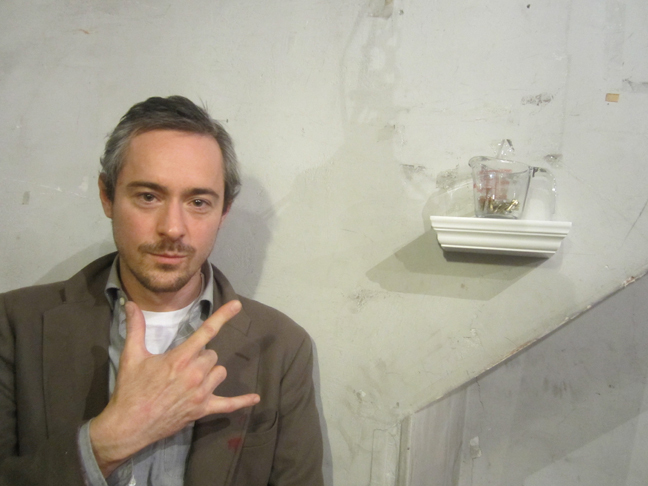 PABLO POWER with his ‘measuring cup’. . .
15 WARREN ST . . a SEAN VEGEZZI, ABIGAIL COHEN, ANDREW KASS DOWNTOWN POP-UP / a huge rebel outlaw underground show that celebrated New Year’s Eve 2014. it took place in a huge empty raw space downtown in TRIBECA, MANHATTAN, NYC & it blew everybody – away. this is PABLO POWER (!!) at the opening, SAT DEC 28, 2013. 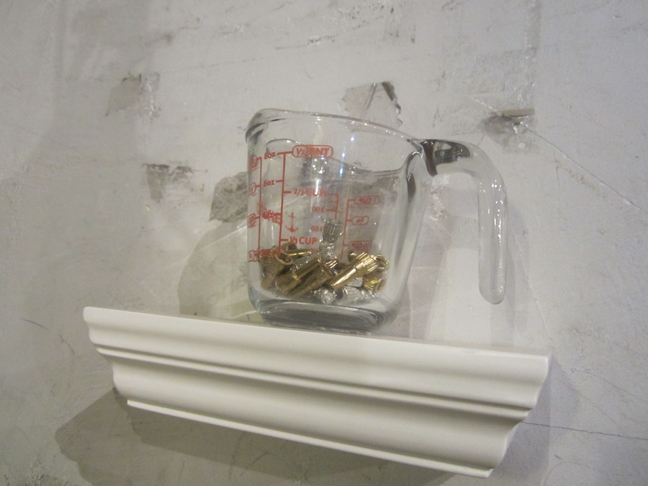 PABLO POWER, standard 4 cup glass measuring cup & empty crack vials. 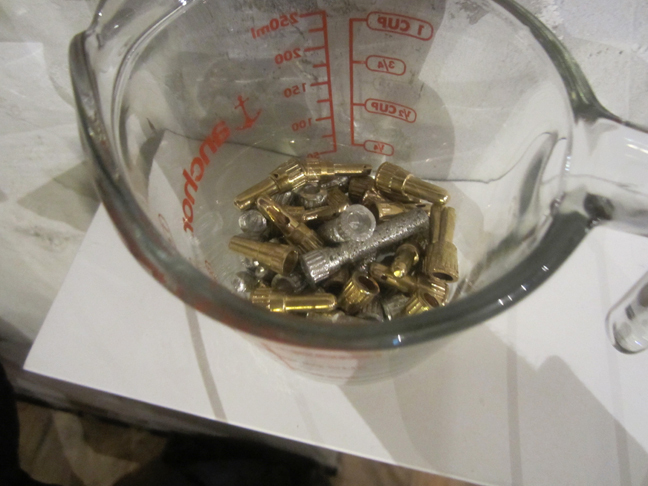 funny, how crack vials – look like . . bullets.